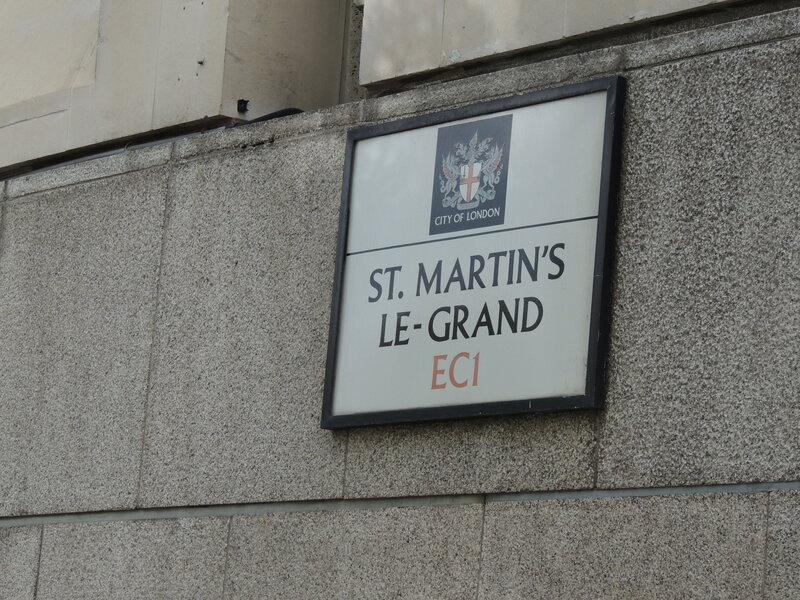 All that remains of St Martins is the road that was named after it just north of St Paul’s Cathedral. There may have been a monastery here as early as the 7th or 8th century – it is said to have been founded by a King of Kent, but the earliest surviving record is of rebuilding being done during 1056. It’s name le grand seems not to refer the architecture but to a large number of privileges that the Canons here seem to have enjoyed. A privilege was an exclusion from duty eg tax or a right not enjoyed by other places eg the right of sanctuary. Its charter was confirmed by William I in 1068 and included the privilege of sanctuary and an exemption from interference by Bishops, Archdeacons or their Ministers. The bell of St Martin’s was one of those which rang at curfew time to signal the closing of the city gates. 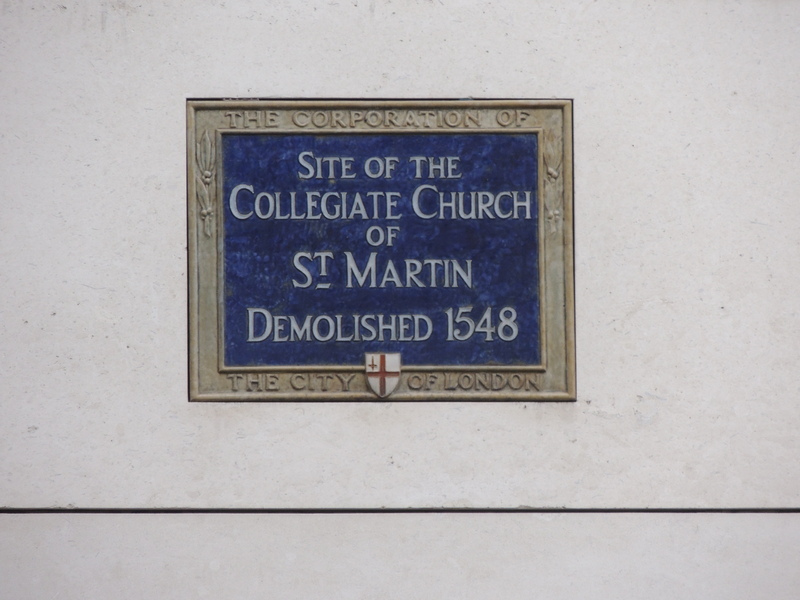 The monastery was dissolved in 1548 and unlike many monastic churches which were given over to the local population, St Martin’s was demolished. Interestingly the privilege of sanctuary within the precinct, although this no longer existed, seems to have continued after the demolition and was finally abolished in 1697. Interesting. I’ll have to look for that next time I’m in London!